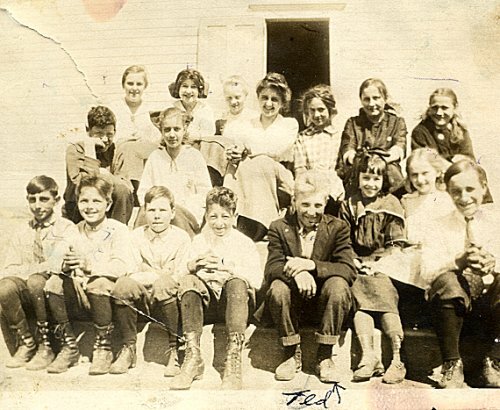 I have this photo of my Grandfather, Theodore Roosevelt Myers with his class. It is owned by Edmund Myers. Jr. of Grand Ledge, Michigan. 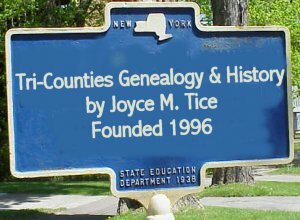 His father was my grandfather's brother Edmund Myers. 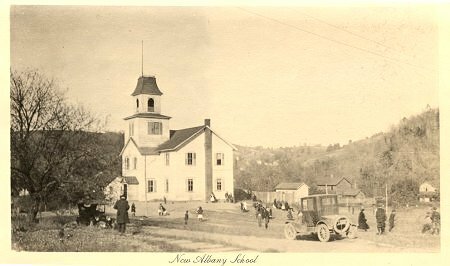 I do not know which school it is, but believe it may be in New Albany, Pa as my grandfather's family moved there by 1913 or so. This is from about 1916 I think.